I like history – but I’m every bit as intrigued by the way the past connects with the present as I am by historical events themselves. That’s probably why Sackcloth on Skin isn’t the straightforward historical novel which might have more chance of finding a publisher! But they say write about what interests you, and this absolutely fascinates me. How does the past influence and intersect with the present – in ideas, in stories, in objects, in buildings? Does it matter? What if we’re completely oblivious to the history of a place or an idea – does our lack of awareness make the past irrelevant, or does it still have significance? How many layers are there anyway? Tempting to apply that politically, but that’s not the point of this post. One of the great things about walking about Edinburgh is that those layers of the past are everywhere around you. A new project by St Andrews University is stripping back the layers and has created a reconstruction of Edinburgh in 1544. If you like this kind of thing it’s fantastic. You can walk up the Royal Mile and through closes which are still there today, or down the steep slope of the now-disappeared West Bow to the Grassmarket. This trailer is just a taster for the app to be released in May. 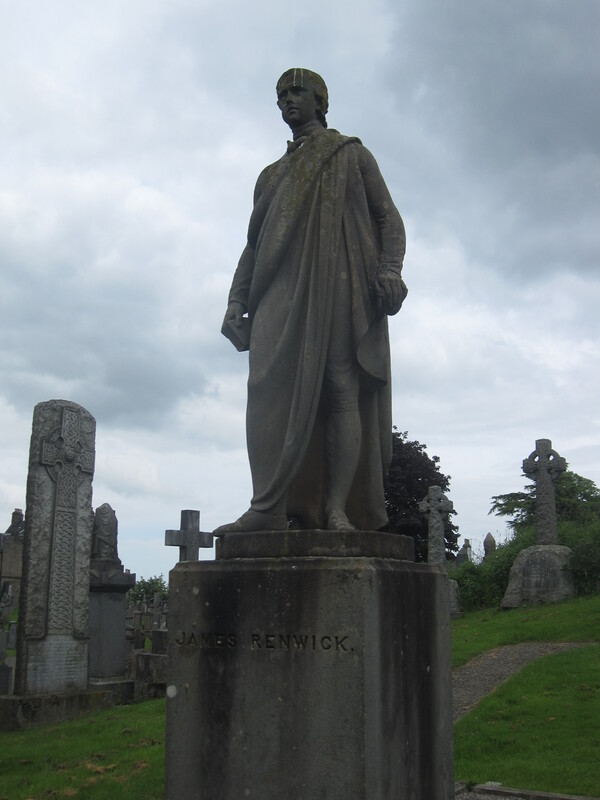 This entry was posted in Covenanters, History, medieval, Uncategorized, Writing and tagged books, Covenanters, Dilys Rose, Edinburgh, medieval, Sackcloth on Skin, Unspeakable on April 4, 2017 by florajohnston. I spent most of Saturday in a world of love, violence, feuding, greed and ambition. Fifteenth-century Scotland. The new trilogy of history plays, The James Plays, is being performed for the first time at this year’s Edinburgh International Festival, and will travel to London when the Festival is over. On Saturday there was an opportunity to watch all three plays in one day – James I: The Key Will Keep The Lock, James II: Day Of The Innocents and James III: The True Mirror. The early Stewarts were easily my favourite aspect of studying Scottish History at St Andrews, so it was partly a trip down memory lane. The programme for the plays contained mini essays about each king’s reign written by St Andrews academics – and what a joy to read the story of James III as told by Norman MacDougall, whose Special Subject on James III was so much fun! So what about the plays? As a trilogy they were superb. I loved the fact that each play had a very different feel, both in the writing and the production. James I offered a hugely entertaining portrayal of 15th-century Scotland, with a host of strong characters and great performances. James I is variously remembered as a tyrant or a strong ruler, and Rona Munro’s interpretation of how his style of kingship may have come about was both interesting and convincing. James II had a darker feel which was powerfully communicated. While not every aspect of the interpretation was how I would have imagined events taking place, the portrayal of the manipulated child king who was haunted by the events he had witnessed was very effective. James II is the only one of the three kings whose story I have seen dramatized before, in The Ballad of James II, performed at Rosslyn Chapel in 2007. I enjoyed James III as a climax to the first two, but it was the part of the trilogy which I personally found least satisfying. It was a vivid imagining of the possible story of Margaret of Denmark, and Sophie Grabøl’s performance was impressive. But the development of Margaret’s character left us with a fairly one-dimensional picture of her husband. Only once, I felt, did he almost spark into life, when he seemed to taunt his people with having too narrow a view to grasp what he could have offered them. Personally I would have enjoyed seeing this, or other, aspects of his personality and reign explored. Instead this play was the one which probably travelled furthest from history to imagination – the result was an enjoyable performance, but for me it had less impact than the previous two. 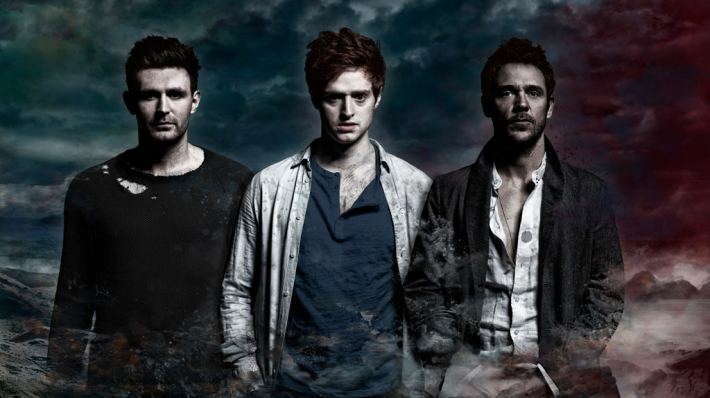 Still, watching all three plays one after the other was a thrilling experience. James I, James II and James III, remembered in Scotland at last! See them if you can. This entry was posted in History, medieval, Scotland, Stewarts and tagged James I, James II, James III, Scottish History, St Andrews, The James Plays on August 18, 2014 by florajohnston. I spent today at Stirling Castle. On my own. Part proper work, part research, part sheer indulgence. 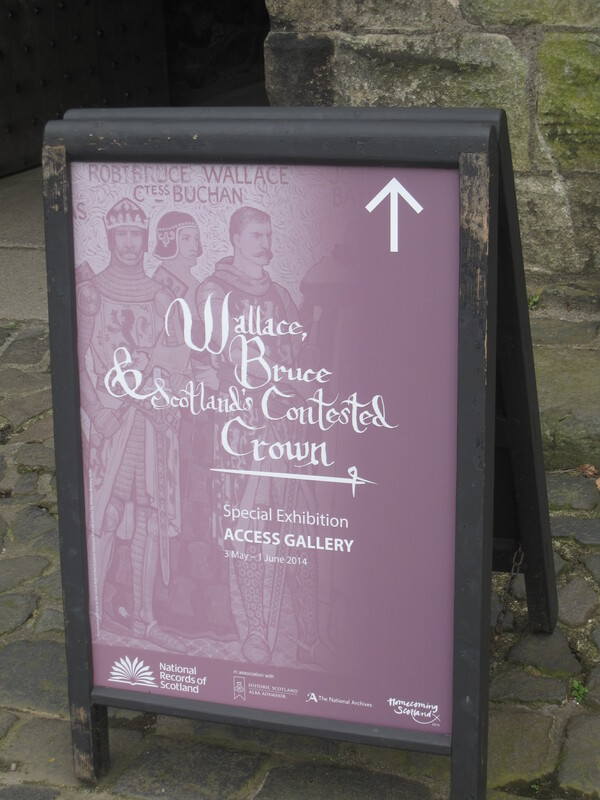 The proper work bit was to see the exhibition Wallace, Bruce and Scotland’s Contested Crown before it closes next week. It’s fun to go along and watch people interacting with the displays. The staff were fantastic. The man who sold me my ticket told me about the special exhibition, about these documents which are ‘the oldest thing you’ll see today, older than any part of the castle’. The guide in the room was doing a brilliant job of making 700-year-old Latin texts sound interesting to a group of schoolchildren. The running totals on the ‘who would you vote for’ between Wallace and Bruce were up in the 600s, with a narrow lead for William Wallace. The exhibition was remarkably busy. I was in Stirling Castle about twenty years ago on a Scottish History trip from St Andrews, and then again about ten years ago. But so much restoration work has been carried out on these magnificent Stewart buildings that it was well worth another visit. It’s fabulous to see the coloured reconstructions of the Stirling heads, and so much more. 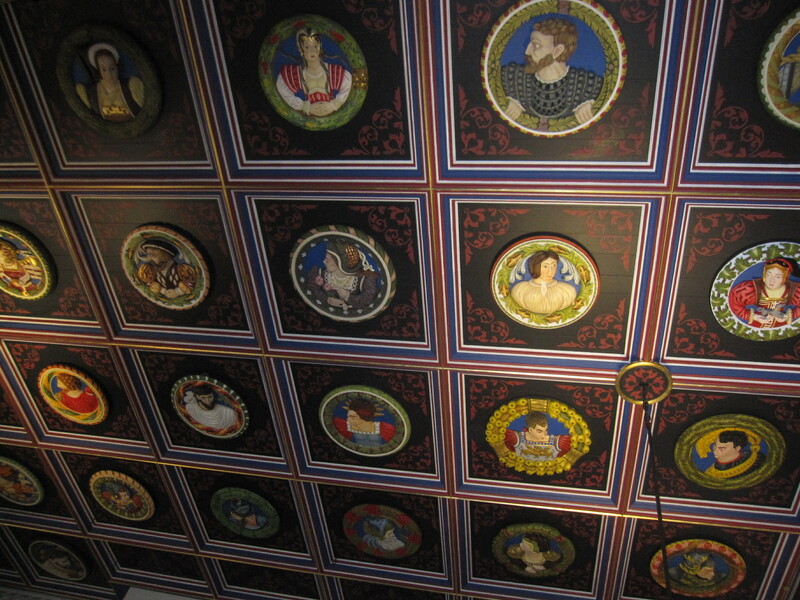 I love to think that many of these depict the men and women of James V’s court – it’s like having the pictures in Hello spread out across the ceiling! I wandered down the hill to the Church of the Holy Rude, which I’m not sure I’ve ever visited before but I particularly wanted to see today – that was part of the ‘research’ bit. The infant King James VI was crowned here in 1567 when his mother Mary Queen of Scots was forced to abdicate. 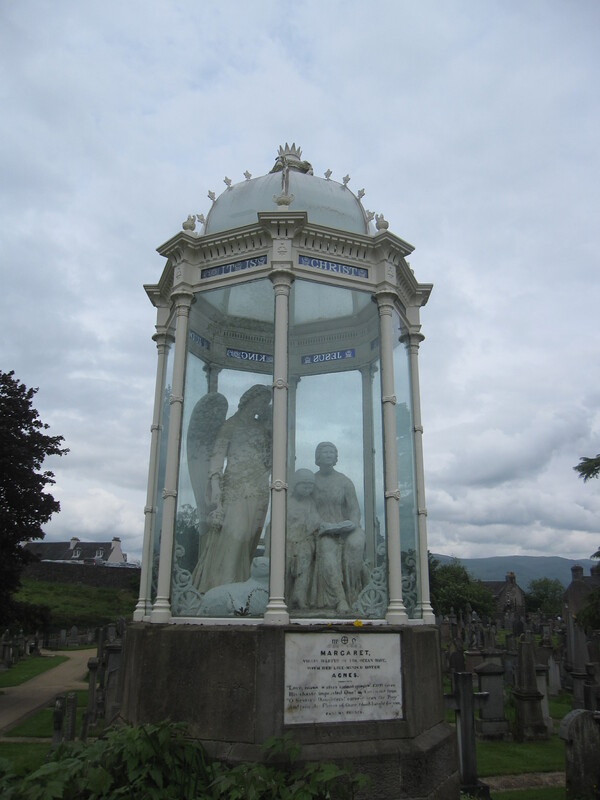 Behind the church is a graveyard which was partly laid out by the Victorians, and has some rather unexpected statues of figures from Scottish reformation history dotted around, including this truly bizarre monument to two famous Covenanting martyrs who were drowned in the Solway. There’s a small hill in the graveyard. Climb that hill and look around, and you really are in the heartland of Scotland’s history. The surrounding landscape has been fought over again and again – Stirling Bridge, Bannockburn, Sauchieburn ….. The castle of the Stewart kings looms high, not just a strategic fortress but also a self-confident expression of dynastic power and artistic ambition. The medieval church has its own story to tell through the centuries, and then there are those figures of the Scottish reformation, interpreted through Victorian eyes. Whistlestop tour through the centuries! 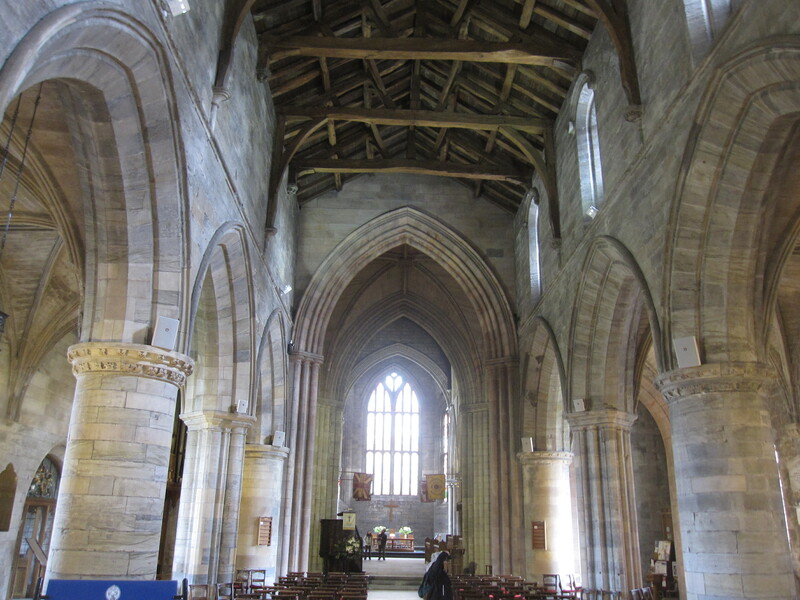 This entry was posted in Covenanters, History, medieval, Research, Scotland, Stewarts and tagged Bruce, Covenanters, medieval, Stewart dynasty, Stirling Castle, Wallace on May 29, 2014 by florajohnston. I’ve been working on the interactive to accompany this exhibition over the last couple of months. The exhibition brings together two extremely rare documents, one associated with William Wallace and one associated with Robert Bruce. 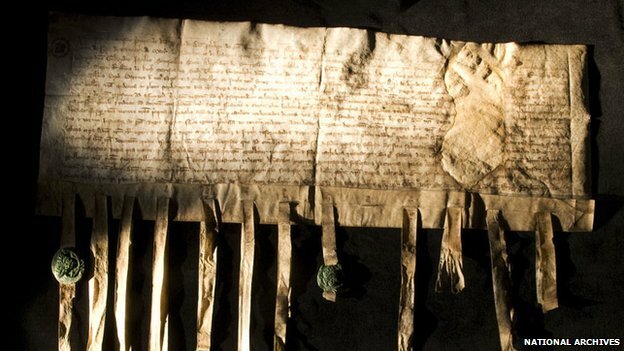 Medieval documents aren’t instantly accessible to most of us, yet these two rare survivors have the power to link us directly back to some of the most exciting events in Scotland’s history. The exhibition will set the documents in their national and international context, and the interactive helps you to explore both the actual documents and the story behind them. It’s been fun to go medieval again! The exhibition opens in Stirling Castle on 3 May. I’m looking forward to seeing it. This entry was posted in History, medieval, Scotland and tagged exhibition, Robert Bruce, Scotland, Stirling Castle, William Wallace on April 5, 2014 by florajohnston.